From digital twinning to reverse pitching to crowdsourcing, CIOs are exploring innovative ways to facilitate digital transformations. Fearful of being outflanked by more nimble competitors, companies are innovating at a faster pace than ever. To avoid disruption, companies are taking new risks as they pursue business transformations, experimenting with new digital services and capabilities to augment existing offerings or to slide into adjacent markets. Yet few companies are innovating at a pace that will ensure success. 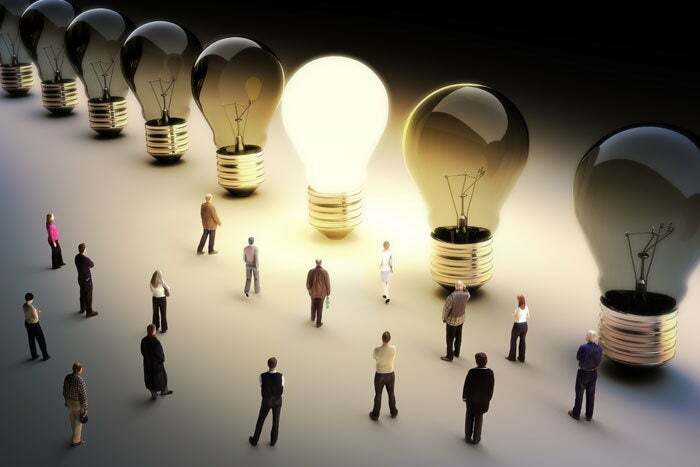 According to CB Insights, while 85 percent of 677 corporate strategy leaders surveyed agree that innovation is important, 78 percent admit to focusing solely on incremental changes rather than disruptive initiatives. And the pace of innovation is slow, with 60 percent saying that it takes a year or more to create new products. In the digital era, that is glacial, which may explain why 41 percent of those polled say they are either “extremely” or “very” at risk for disruption by emerging companies or technologies. Given the stakes, CIOs are best positioned to demonstrate digital leadership that drives better business results and, ideally, revenue growth. How each CIO tackles innovation and transformation will differ based on the unique challenges of their industry. Here’s a look at what several leading CIOs are doing to spur innovation at their organizations. When Boeing lured CEO Kevin McCallister away from General Electric two years ago to run its commercial airplane business two years ago, the new CEO vowed to move faster, using software to drive productivity and speed decision making. Boeing CIO Ted Colbert stepped up to the challenge, creating “digital twins” of the operations required to build and maintain 737, 747 and 787 planes. Colbert created a “digital flight deck” that weaves together the commercial airplane division’s marketing and sales, supply chain, operations and services into a digital thread. The resulting analytics, including internal and external data, from this end-to-end digital thread has helped Boeing identify business opportunities and ways to improve operational efficiency — in real-time. For example, Boeing can now rate ramp-up and other business scenarios, and anticipate and often avoid aircraft construction slow-downs. The resulting efficiencies save Boeing tens of millions of dollars, Colbert said. The shift to real-time analytics marks a significant cultural change from Boeing's previous practice of building static PowerPoint presentations and sharing them with multiple layers of management, which slowed decision-making. "The skyline for marketing and sales of the planes is now all digital," Colbert said at the 2018 Forbes CIO Summit, where he accepted an innovation award for the digital flight deck. "It’s really changed the way that business works." The initiative has had its challenges. Colbert said some engineers and financial analysts were initially reluctant to share crucial knowledge and information. But the fear evaporated once they saw the speed of decision-making pick up, paving the way for improved results. Along the way, Boeing’s IT learned to excel at working at different speeds. “You have to weave it all together and make sure you’re engaged both in the long-cycle work and the short-cycle work and everything in between,” Colbert said. Dow Chemical has seen its fair share of changes over the years. The company has worked through divestitures, joint ventures and mergers, including the September 2017 blockbuster with DuPont to form the world’s largest chemical company in terms of revenue, and the subsequent splitting of DowDupont into three publicly-traded companies. With technology playing a central role in these sweeping changes, Dow Chemical CIO Melanie Kalmar has had her work cut out for her. Key among her challenges has been keeping up with M&A activity while ensuring Dow Chemical remains atop the latest innovations. To enable her IT team to stay in lockstep with blockchain, analytics and other emerging technologies, Kalmar created a “tenant” capability for the company’s global ERP system. Run by a cross-functional Diamond Systems Solutions (DSS) team, this allows Dow to rapidly stand up SAP financial software for any new venture the company creates so that the IT organization “isn’t bogged down” by structural changes. Moreover, such migrations must happen within months without impacting the business or, more importantly, customers. The tenant system has generated more than $45 million in savings to date, Kalmar said. She added that the key to making the tenant system work was ensuring business stakeholders were on board. “We have to reach out and pull our value-chain partners along with us or we’re stuck with being ready but nobody else to dance with,” Kalmar said. Casual dining restaurants are struggling to adjust in a world where consumers increasingly prefer to order in and watch Netflix. The disruption has sent many chains scrambling to partner with Uber Eats, GrubHub, DoorDash and other food delivery services. But not Bloomin' Brands, which is building its own delivery network, according to Donagh Herlihy, CIO of Bloomin' Brands, owner of Outback Steakhouse, Carrabba's Italian Grill, Flemings Steakhouse and Bonefish Grill. Why launch a delivery service? First, Herlihy says, delivery partners eat as much as 25 percent of a guest’s ticket, canceling out the potential profits. Moreover, delivery partners own the data generated by an order, leaving the restaurant partner in the dark. "I don’t know if you have a good or bad experience and I can’t market to you," Herlihy told CIO.com at the Forbes Next CIO conference in October 2017. The latter issue is key as Bloomin', which currently sends bulk email promotions to consumers, is upgrading its marketing attack to more personalized, targeted marketing. That's a big reason why Herlihy is cultivating a data lake, using Microsoft's Azure machine learning technology to refine the personal messaging. "We have to be very data-driven," he says. To groom regular customers, Bloomin' is also ramping up its guest loyalty program, which includes 4.6 million consumers. The service, available via the Bloomin' mobile app, checks guests in when they enter the parking lot and allows patrons to pay for meals from their phone without waiting for their server to bring the bill. Bloomin' is also adding a feature to its mobile app to allow guests to track their delivery drivers en route to their home. "You can never be convenient enough," Herlihy says. Allstate is recruiting helping hands to maintain its "good hands" brand image. The insurer offers roadside assistance to troubled drivers but it has struggled to get tow trucks on the scene quickly, with drivers waiting 60 to 75 minutes for help. That's a long time, especially when you’ve just run out of gas or need a jumpstart. "It's a pain point," said Suren Gupta, executive vice president of technology and strategic ventures at Allstate, speaking on an innovation panel at the Forbes event. Gupta says: "Why do we need a tow truck to come in and help out with gas or a jumpstart? It's expensive and takes time." Gupta decided Allstate could crowdsource that help. The $40 billion insurance giant last year launched the Good Hands Rescue Network, available to drivers who have downloaded the Good Hands mobile app to their phones. When customers break down they can launch the app, talk, tap or text a chatbot to request help and any one of 1,000 rescuers, including cab drivers and lay drivers looking for extra cash, will come fill up their tank or give them a jumpstart. The move has helped reduce wait time to 37 minutes on average, Gupta says. Such innovation is part of Gupta's mandate to diversify revenue at Allstate, which he says depends on an automotive industry that is on the verge of severe disruption, thanks to autonomous driving. On that score, Allstate last year acquired Squaretrade, which sells warranties to consumers buying cellphones and other electronic devices at big-box stores like Costco and Target. "It is a way of looking at our market adjacencies," Gupta says. Since joining Northwestern Mutual in 2006, Karl Gouverneur has made what he calls the "Silicon Valley safaris" in search of innovation. The company's head of digital innovation has "speed-dated" with startups, hosted by venture capitalists. He's hosted hackathons and demo days and worked with the company's internal VC firm and business incubator to cultivate new technologies. Now Gouverneur is pursuing a relatively new mode of innovation that he says is a strong fit for boosting digital capabilities. In November 2017, Northwestern Mutual conducted a "reverse pitch" event, inviting entrepreneurs to learn about specific business challenges that aren't currently addressed by existing vendors. Challenges included automating the procurement contract process, reducing referral friction and automating ways to identify prospects based on a financial representative's social media contacts. Teams that accepted the challenge earned a seed investment of up to $85,000, access to corporate mentors and networks, and working space at Northwestern Mutual’s downtown Milwaukee, Wis., headquarters. Ideally, the pitch would percolate into series A funding for the entrepreneur. "The outcome is for them to become a viable company that can grow and become a 10x play," Gouverneur says. "We want a product that has breadth and depth, product market fit and they see a path to the future." Farming and high-tech might be an odd match, but Monsanto is out to break that perception. CIO James Swanson has rolled out an analytics platform designed to pinpoint the best conditions for growing corn and other crops. Dubbed science@scale, the system runs simulations against millions of data points for characteristics such as seed genetics, climate, water, soil and nutrients, Swanson told an audience of his peers at the Forbes Next event. Science@scale leverages technologies such as Amazon Web Services and Google's TensorFlow machine learning application to crunch in minutes simulations that formerly took months to process, boosting sales revenue by $17 million. Swanson likened Monsanto's approach to "personalized medicine," with the company helping individual customers identify the optimal seeds, conditions and soil to grow their crops. Monsanto can currently pinpoint the optimal growing conditions down to a 10-meter grid on a farmer's land. "And that's really just the start, as we pull more and more info we will get more effective over time," Swanson says. Ideally, Swanson says Monsanto aims to help corn growers improve output from 185 bushels of corn per acre to closer to 500 bushels. "The oldest industry on the planet is being transformed through technology and data science," Swanson says. Like Monsanto’s Swanson, Lynden Tennison, CIO of Union Pacific, is tasked with digitalizing an old industry. Unable to find commercial applications to support the railroad giant, Tennison had his team build applications UP sorely needed. But it soon became clear to UP that the software and hardware it built had commercial applicability, says Tennison, who also spoke on the innovation panel at the Forbes event. Under Tennison's guidance, UP launched PS Technology, a commercial entity that sells railroad tech solutions to the company's rivals and partners. Thanks to PS, UP is now one of the largest providers of locomotive simulation systems. To keep this flywheel going, the wholly-owned subsidiary reinvests 8 percent of its revenue into research and development. Building on that entrepreneurial spirit, Tennison also launched Breeze Broadband Communications, which harnesses the communications towers and other infrastructure supporting the railroad to deliver wireless broadband to underserved rural markets. PS and Breeze, which was conceptualized within the IT department, have helped boost UP revenue by $50 million, says Tennison.